Pepper is an Australian Labradoodle. That means she's a mix of Labrador and Poodle with a bit of Cocker Spaniel tossed in. 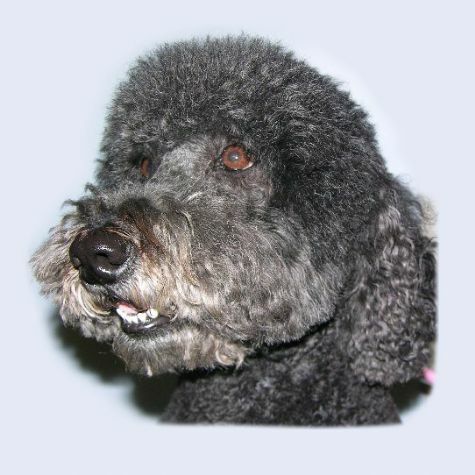 Australian Labradoodles were originally bred for their agreeable temperament and to be hypoallergenic. So Pepper is a natural therapy dog. Her coat is so inviting to pet, people say it feels like a comfy sweater. When she's not making new friends on the job, Pepper enjoys running and exploring at the dog beach. You should see her chase seagulls!